Jacky the Himalayan Sheepdog at two years old. The Himalayan Sheepdog is a very intelligent, courageous and fearless dog that makes a lovely companion. Dogs bred in kennels tend to be taller and heavier than those dogs that are roaming the mountain terrain areas. This breed can live in an apartment if it is very well exercised. These dogs are not very active indoors. The Himalayan Sheepdog needs to be taken on daily walks. 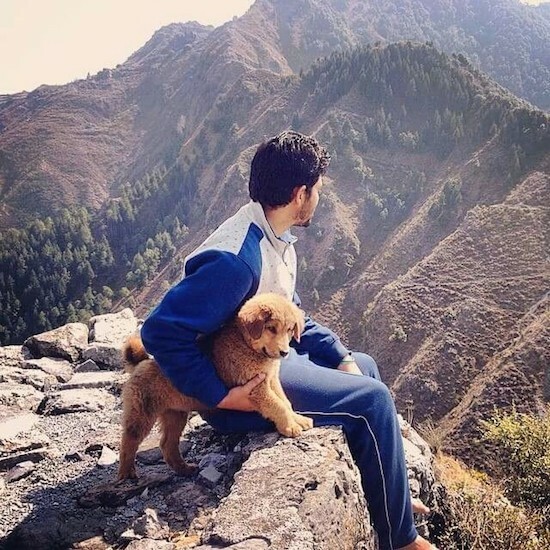 While out on the walk the dog must be made to heel beside or behind the person holding the lead, as in a dog's mind the leader leads the way, and that leader needs to be the human. Be careful that the bones, muscles and joints of the young dog are not overworked during the growing stage by not overdoing the physical side of its life. However, they will still need to walk each day to satisfy their migration instinct. The Himalayan Sheepdog should be brushed regularly. In the winter the coat has an abundance of very thick hair, which sheds once a year for the duration of a month, when the weather gets warmer. During this time your dog should be brushed and combed every day. The Himalayan Sheepdog breed was developed for guarding encampments and livestock from predators. 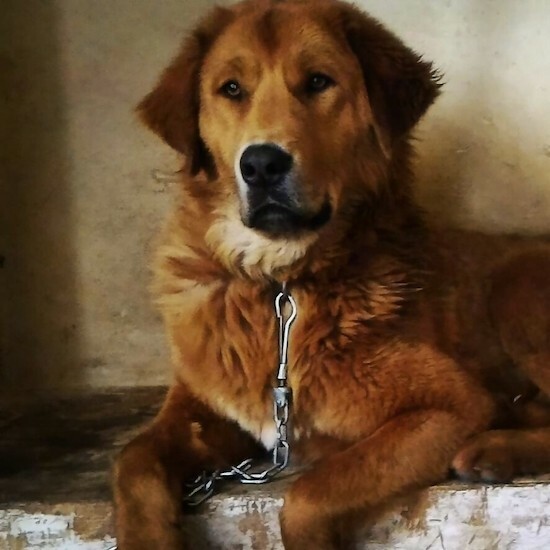 It was developed from Tibetan Mastiff stock. 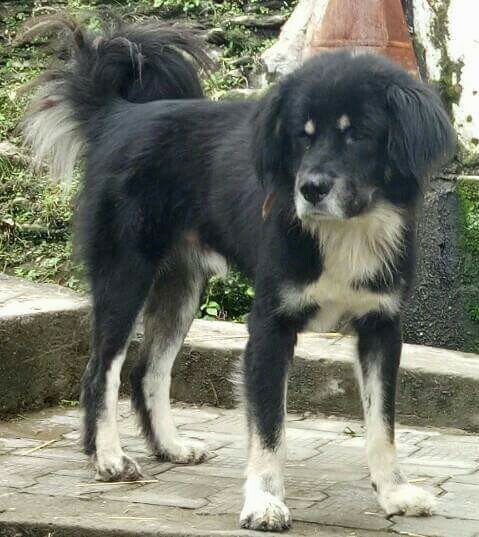 "Gaddi dog" is a generic term used for the majority of the big dogs found in the Himalayas, although there is no one particular kind of Gaddi dog as they vary from place to place and are bred for various purposes. Himalayan sheepdog are found from Jammu and Kashmir to Arunachal Pradesh in India, including Nepal and Bhutan. 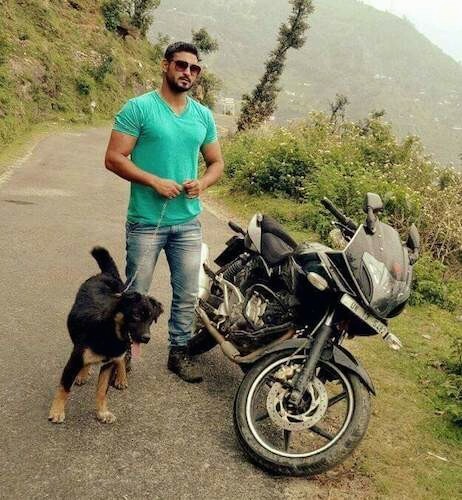 In Nepal it is called a Bhote Kukkur or Bhotiya whereas in Himachal Pradesh it is known as Gaddi Leopardhund. 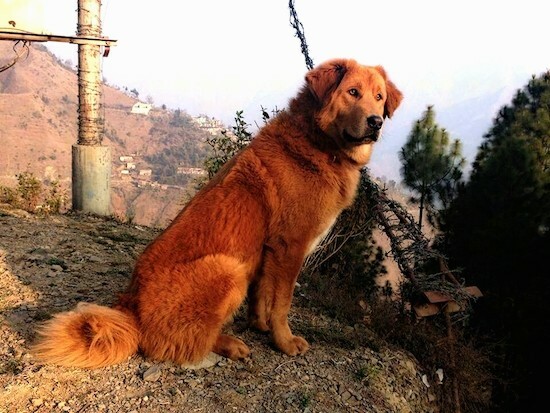 The distinguishing characteristic of Chamba Gaddi dogs is their long pointed muzzle without any Molloser semblance. 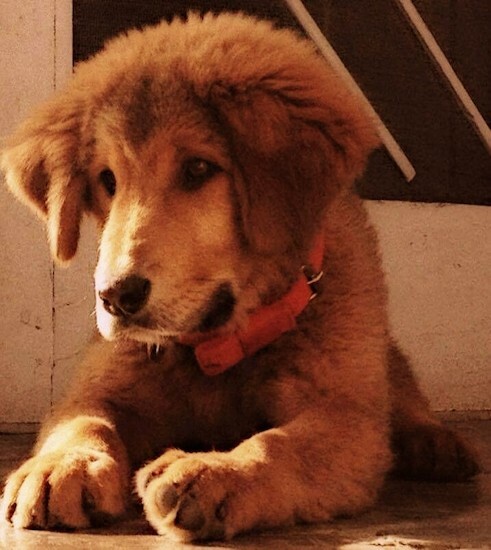 They also have a wide forehead, pendulum ears and a maned neck similar to that of a purebred Tibetan Mastiff. 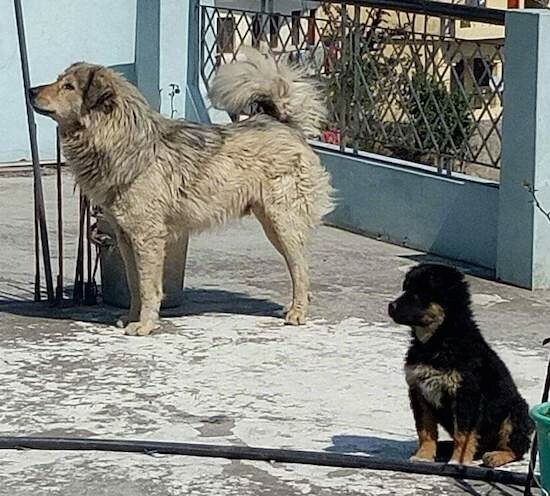 These dogs are big and have a deep bark similar to a Tibetan Mastiff. 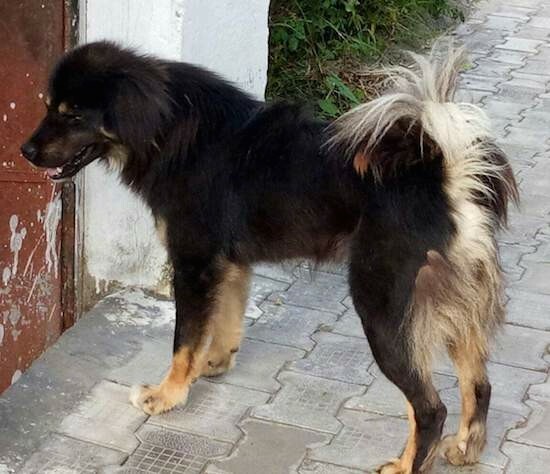 The tail is not as curly and heavily feathered as a Tibetan Mastiff. This breed, like many indigenous breeds, is at the verge of extinction due to dilution in the gene pool and lack of dedicated breeders and breeding programs. 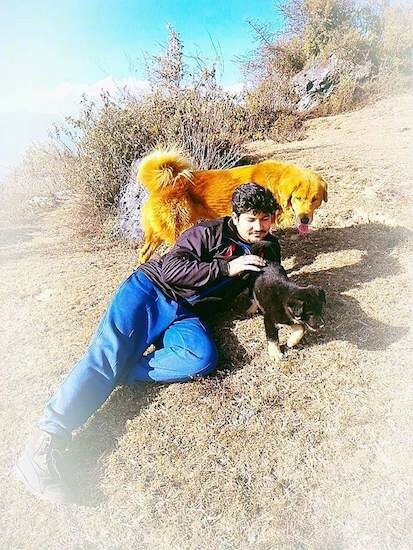 Jacky the Himalayan Sheepdog at two years old and a Himalayan Sheepdog puppy with their human friend.